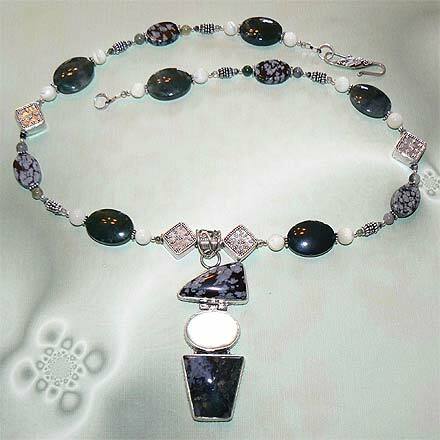 Sterling Silver Moss Agate, Snowflake Obsidian and Mother of Pearl Necklace. See Closeup. 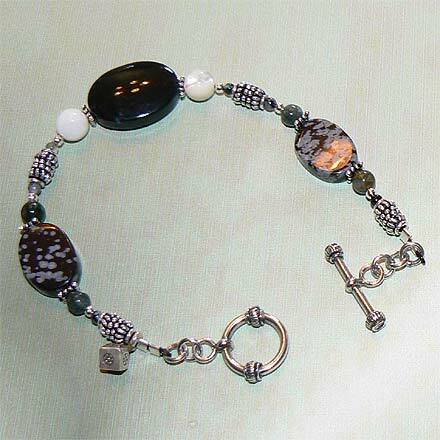 Sterling Silver Moss Agate, Snowflake Obsidian and Mother of Pearl Bracelet. 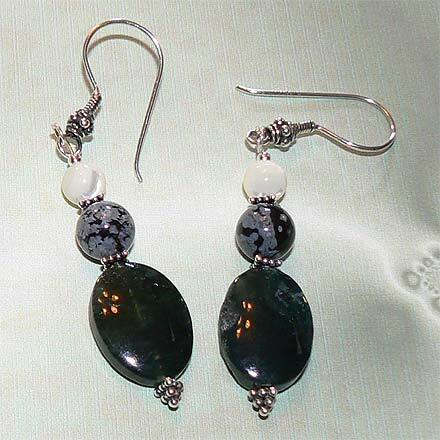 Sterling Silver Moss Agate, Snowflake Obsidian and Mother of Pearl Earrings. 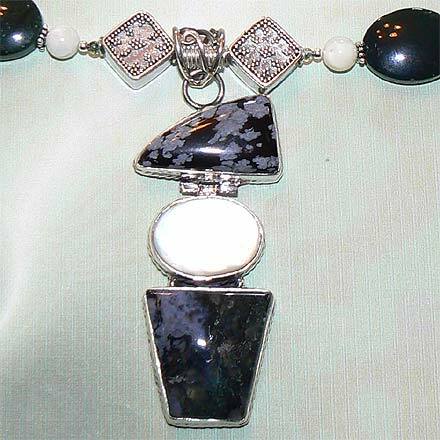 This pendant makes a progression from late Autumn and falling snow at night (top - Snowflake Obsidian) to snow-covered Winter (middle - Mother of Pearl) to Spring when green starts to come out the snow (bottom - Moss Agate). The large dark oval beads that are not the Snowflake Obsidian are Moss Agate, but unfortunately the camera didn't want to show the beautiful moss-like patterns in the dark green. For those who are interested in Astrological significances of stones, Agate corresponds with Capricorn and Gemini, and Pearl is associated with Gemini and Cancer and the month of June.